I’ve struggled to answer in a way that makes sense. On the one hand, I have no regrets. I’m glad I chose as I did then. On the other, I’ve grown, and I recognize that not all of the choices I made then fit well with what I’ve since learned of God and of myself. It’s sometimes hard to hold these two pieces together, to believe that neither the way I chose then nor the way I’m choosing now are of less value than the other. And it’s not always easy to know, looking forward, how to make new choices that will leave me with no regrets regardless of the outcome. Neither fasting nor feasting has any value. Neither keeping Sabbath nor not keeping it. Neither doing the dishes right after dinner, nor choosing to rest and do them later. 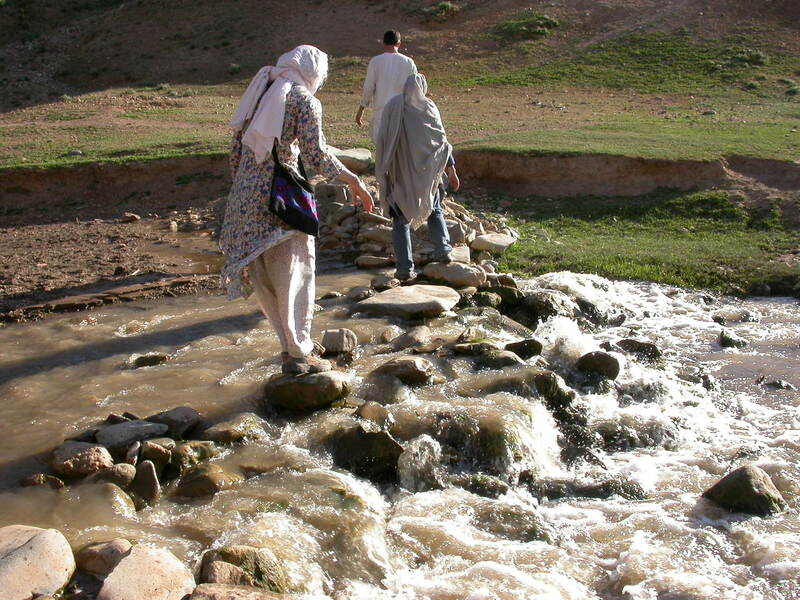 In my twenties and early thirties, driven and anxious to make a difference in the world, and loving God as best I knew how in the midst of that, faith expressed itself in love to God and others by my commitment and determination to keep serving in the midst of craziness and huge cost in Afghanistan. In these past seven years since God closed the door on that way of loving him, faith is expressing itself through love by learning to live within my limitations and offer back to God and others the gentle, grace-filled space God has been offering me. Now, drivenness and the previously unrecognized self-abuse of constantly ignoring my limitations would be neither faith (trusting God’s love for me) nor love (respecting God and His treasured possessions by caring gently for people who matter to him—myself as well as those around me). So the question, “Would you do it again?” Not now, but I’m glad I did it then. Then it was the best way I knew to offer God my faith and love. Now He’s asking me to express my trust through love in different ways. Choosing to live by “faith expressing itself through love” doesn’t guarantee a smooth path or a comfortable outcome. It does mean that, whatever the outcome, I can trust that the God who has made me His has received my offering of faith and love with the delight of a mother receiving her toddler’s first dandelion bouquet. And God’s smile is what leaves me with no regrets.